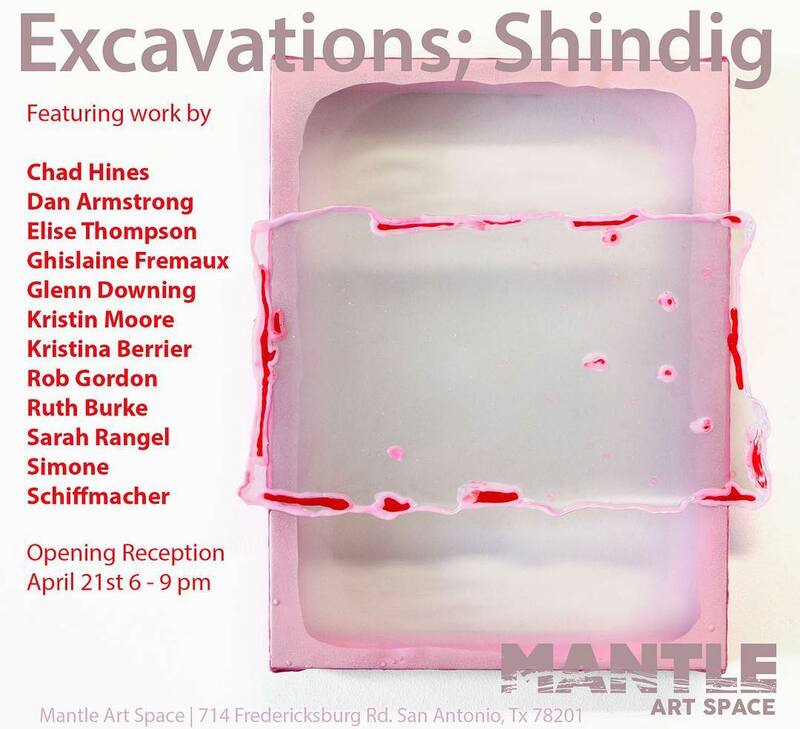 Works by FSU Adjunct Professor Elise Thompson have been selected for a group show entitled, Excavations; Shindig at Mantle Art Space. The Mantle Art Space started in October 2016 by Sara Corley Martinez and Sarah Lawrence, is a 501(c)(3) non-profit, artist-run, 24/7 studio space that also features an exhibition space in a historical building in the Beacon Hill neighborhood, just outside of downtown San Antonio. Excavations; Shindig is curated by Saralene Tapley and features other artists, such as Chad Hines, Dan Armstrong, Ghislaine Fremaux, Glenn Downing, Krisitin Moore, Kristina Berrier, Rob Gordon, Ruth Burke, Sarah Rangel, and Simone Schiffmacher.